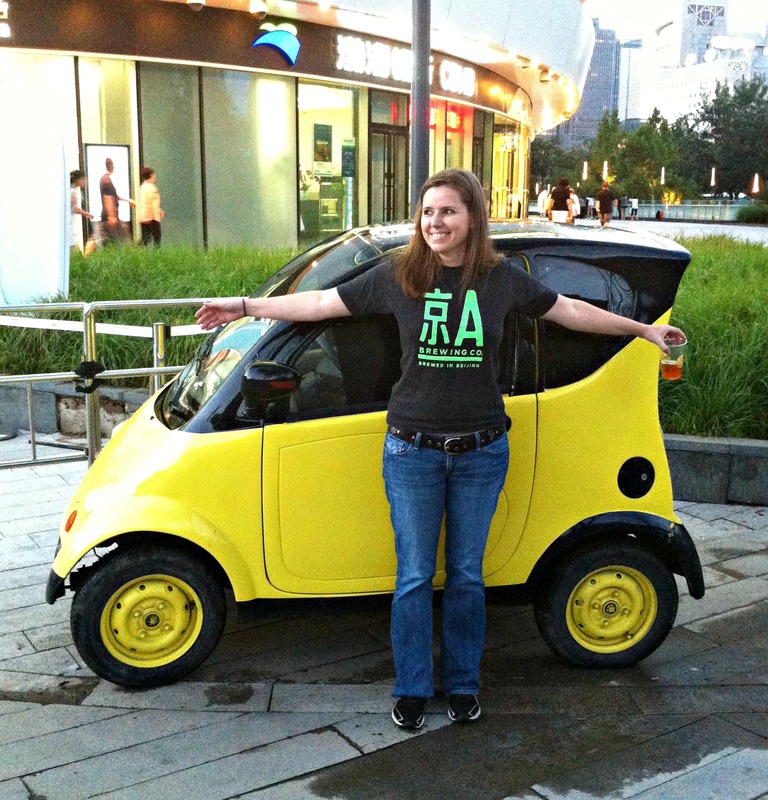 Day 378 in Beijing: Teeny Weeny Yellow Non-Polkadot Car. Yep, it is a truly tiny car. This has to be the smallest car I’ve seen in Beijing so far. And I’ve seen some really small cars. This car makes the other ones look like monstrosities. I was totally blown away by how small, and cute, it was. And I cracked up when Jill noticed the tiny fan on the dashboard. I’m guessing the thing has minimal heat/cooling and is electric. Therefore, having a little fan, for those warm Beijing summer days, makes a lot of sense. I honestly want to test drive this little car and see how it accelerates, handles, and rides. I have to imagine it is pretty rough but I’ve been surprised at how fun the small car/bikes are to drive and ride in during my stay in Beijing.